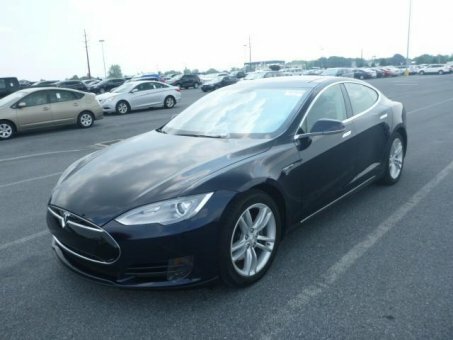 Superb 2013 Tesla MODEL S! This car is equipped with electric motor and Automatic Transmission! Unlike a gasoline internal combustion engine with hundreds of moving parts Tesla electric motors have only one moving piece: the rotor. As a result Model S acceleration is instantaneous silent and smooth. Step on the accelerator and in as little as 3.1 seconds Model S is travelling 60 miles per hour without hesitation and without a drop of gasoline. Model S is an evolution in automobile engineering. Standard equipment safety features are constantly monitoring stop signs traffic signals and pedestrians as well as for unintentional lane changes.